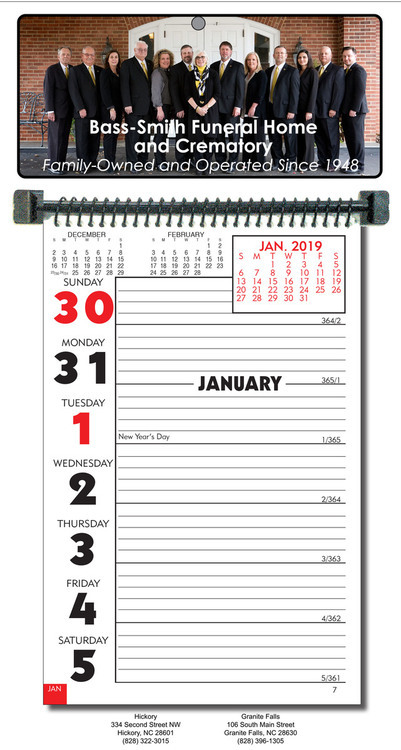 The Style 3 is anew addition to this group of wall hanging style calendars. 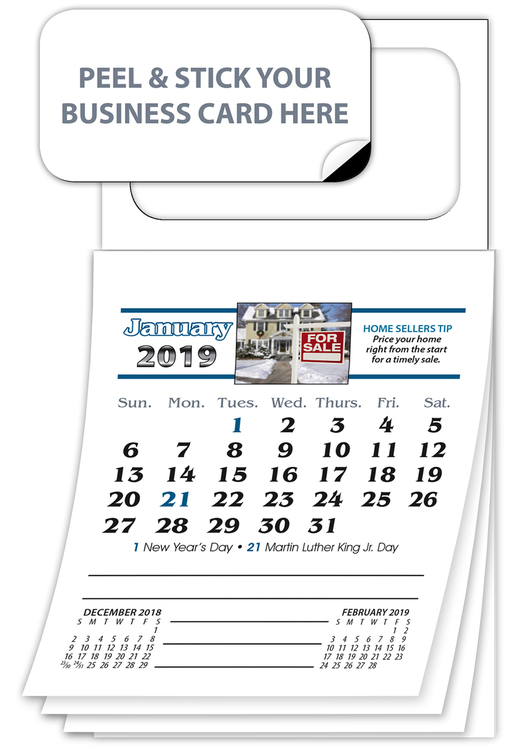 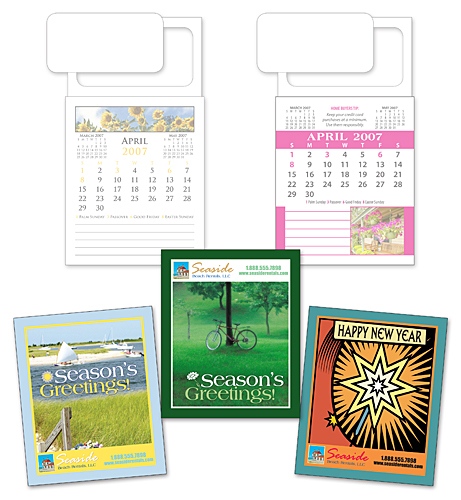 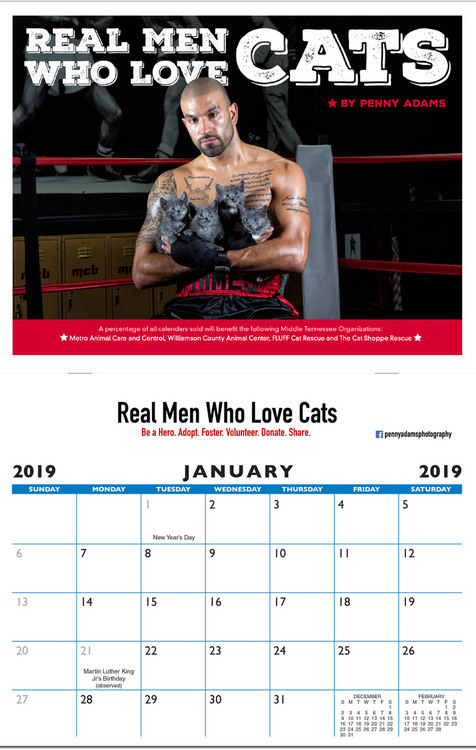 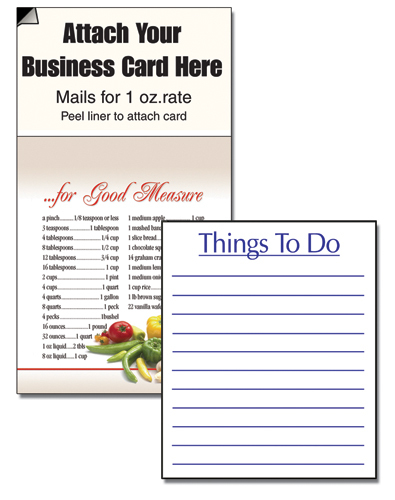 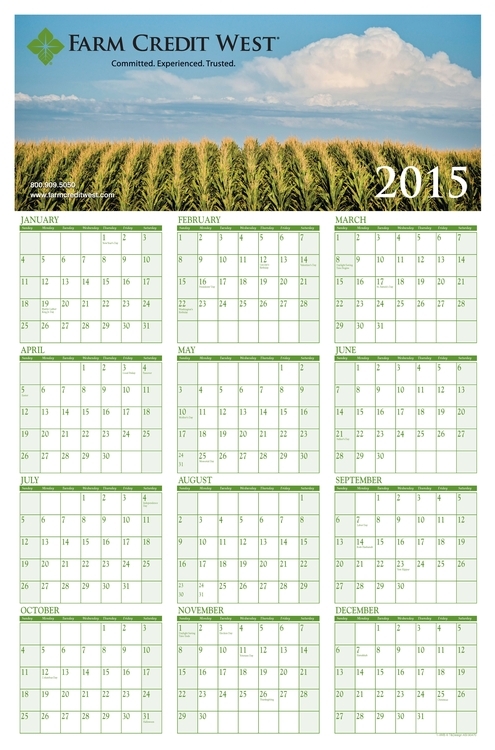 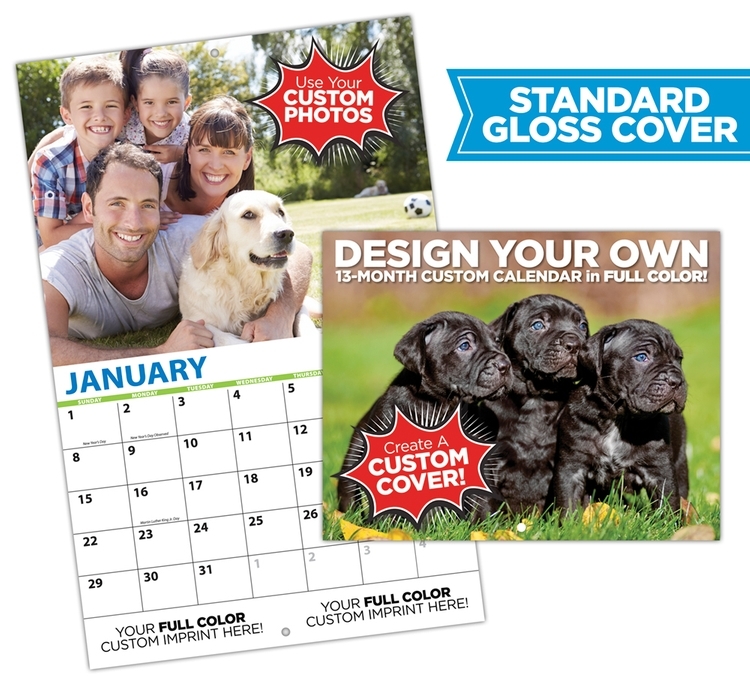 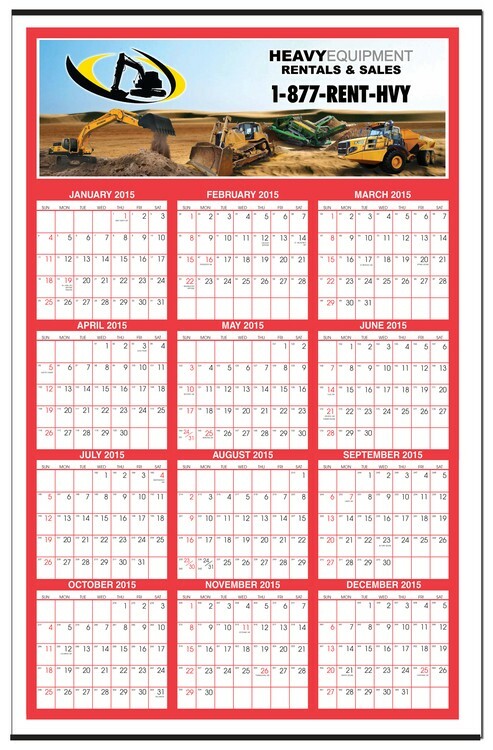 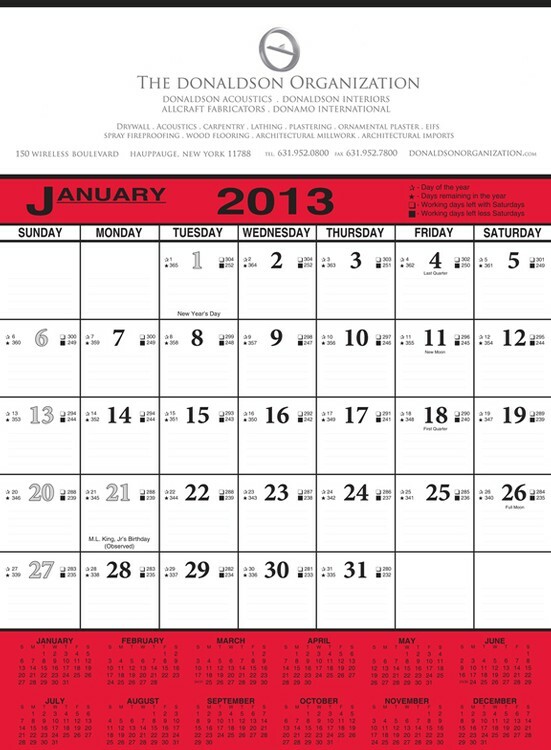 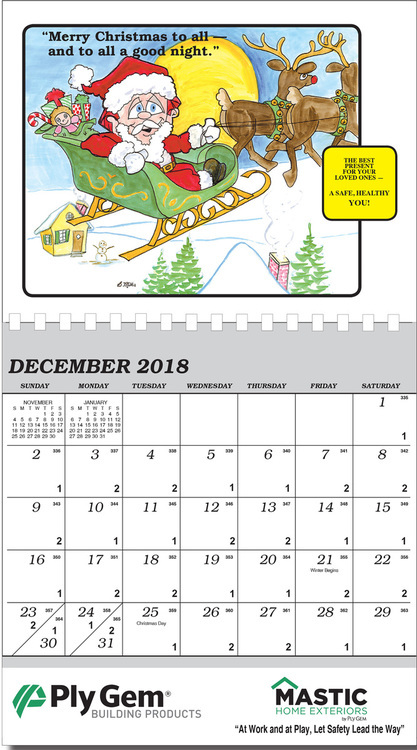 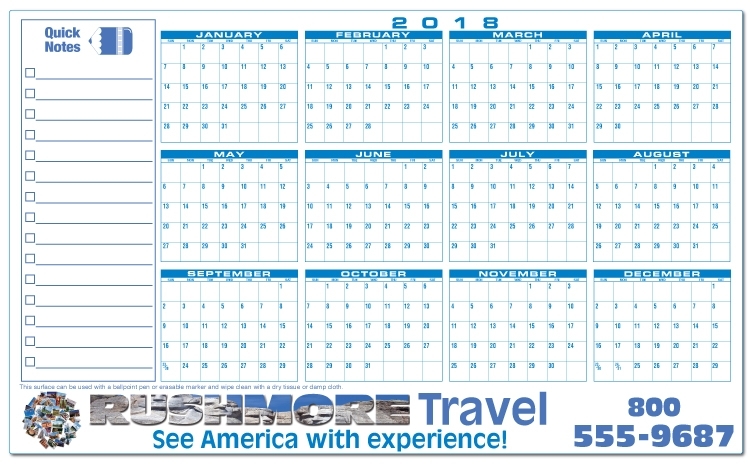 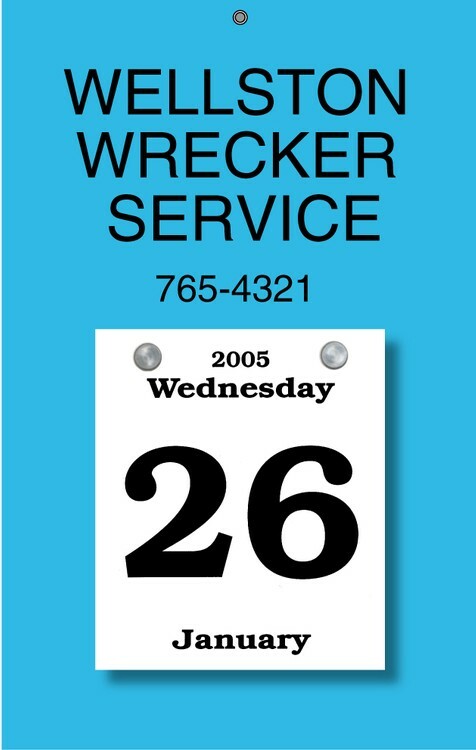 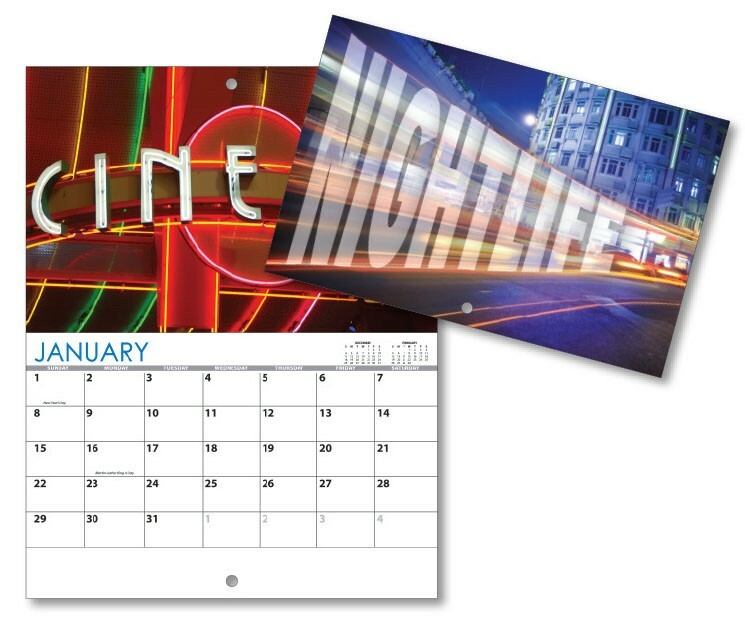 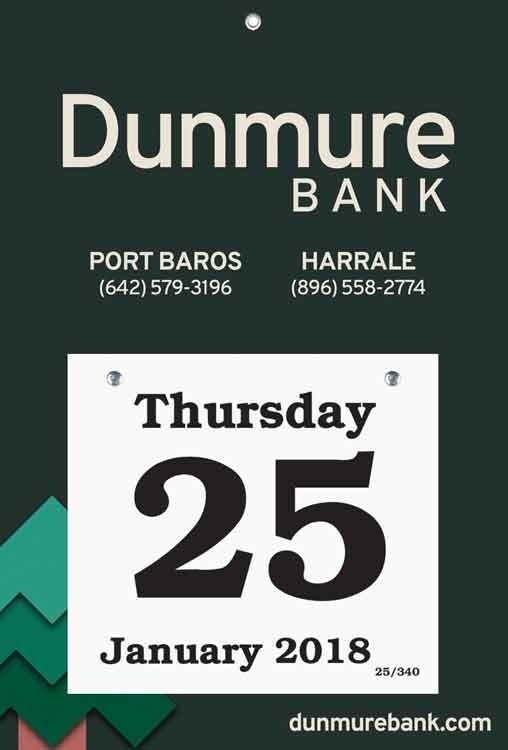 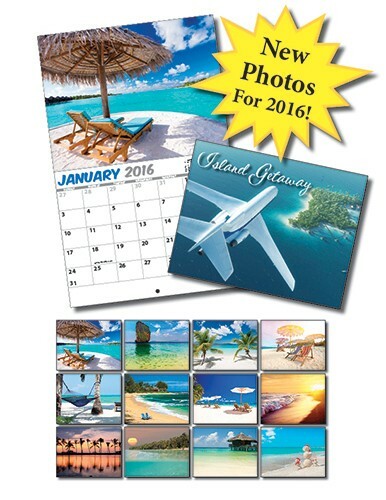 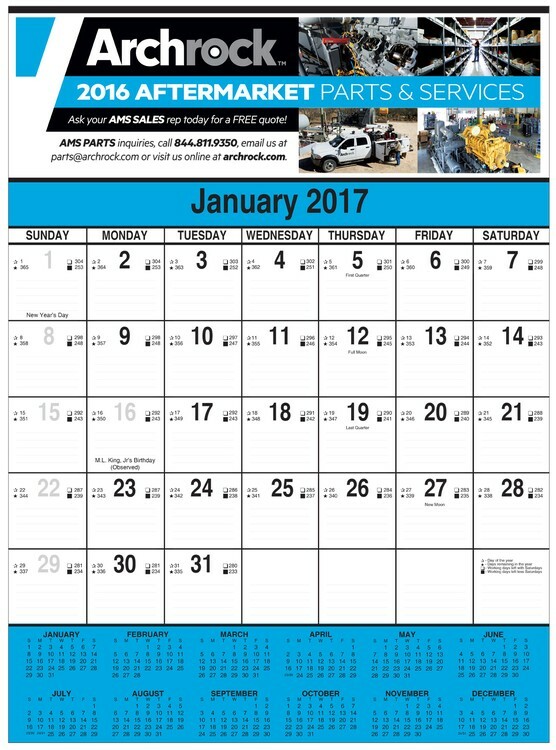 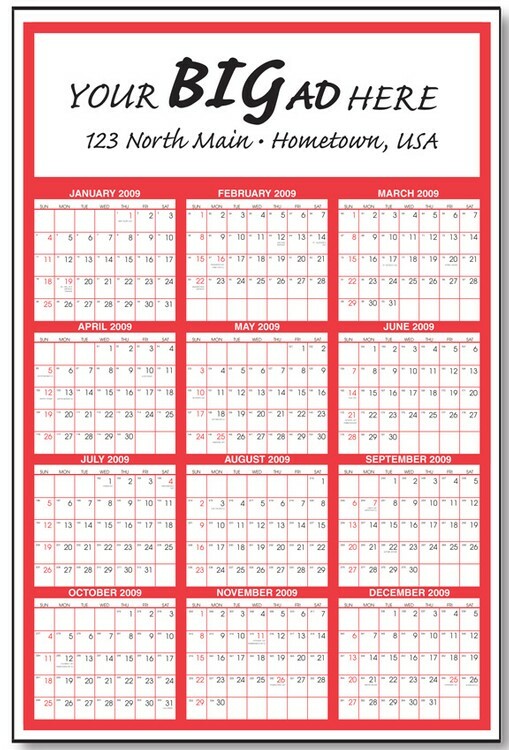 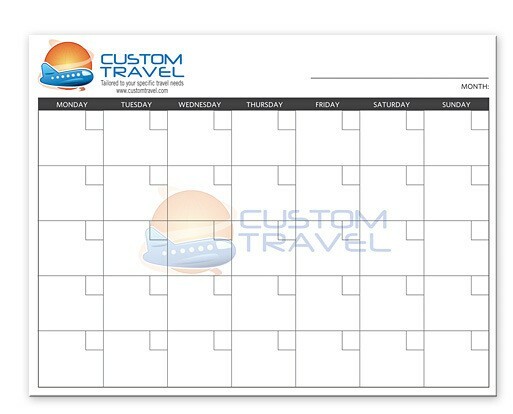 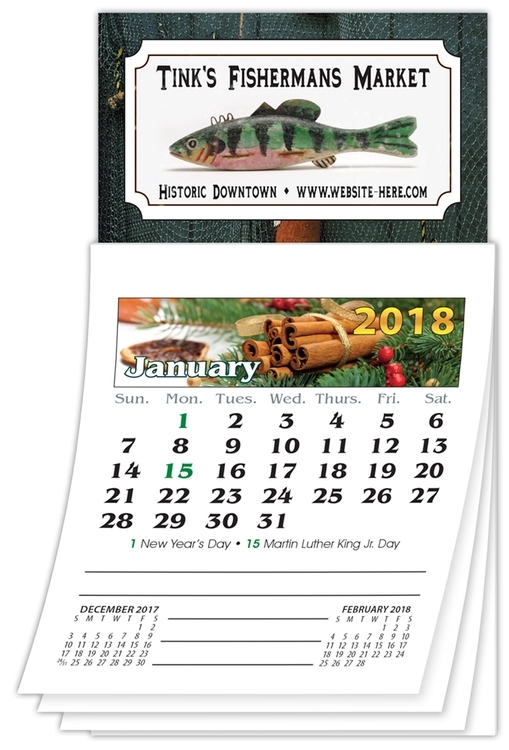 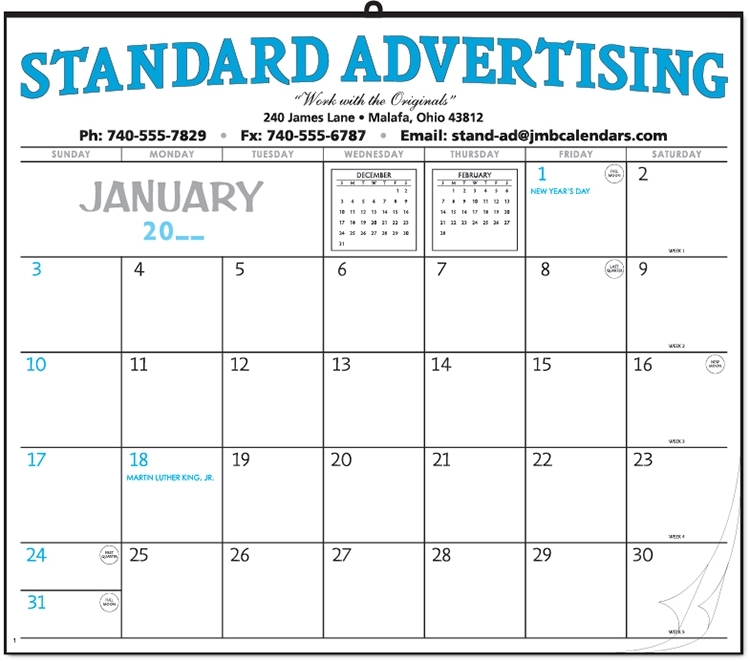 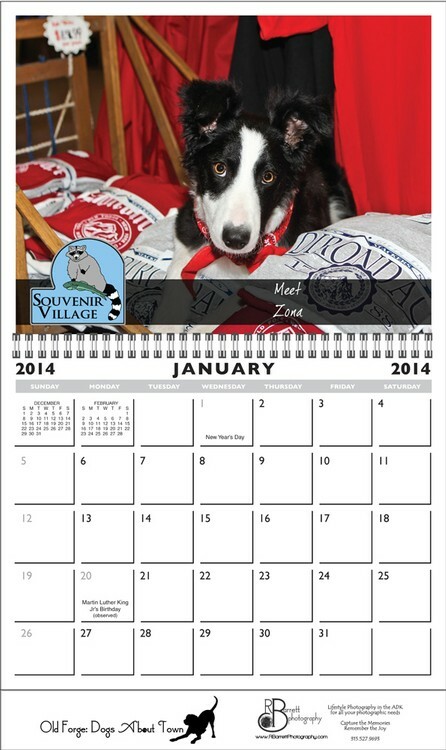 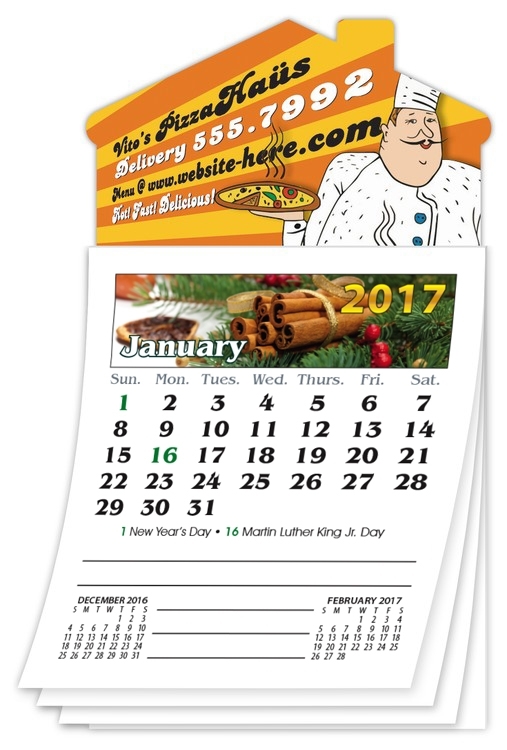 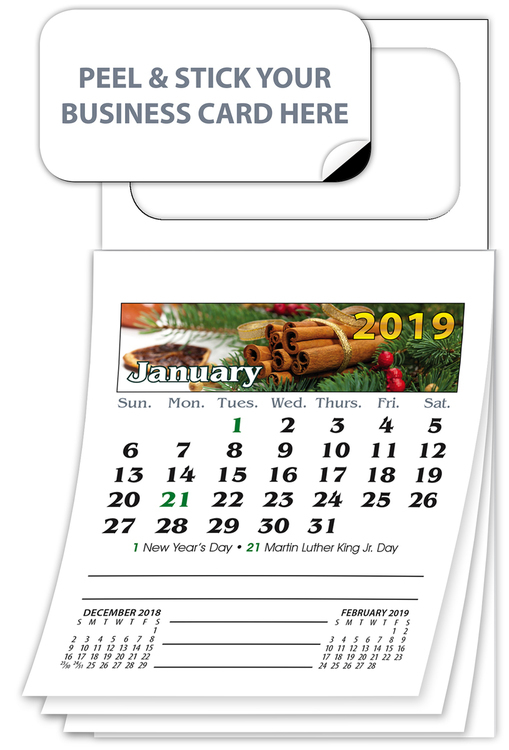 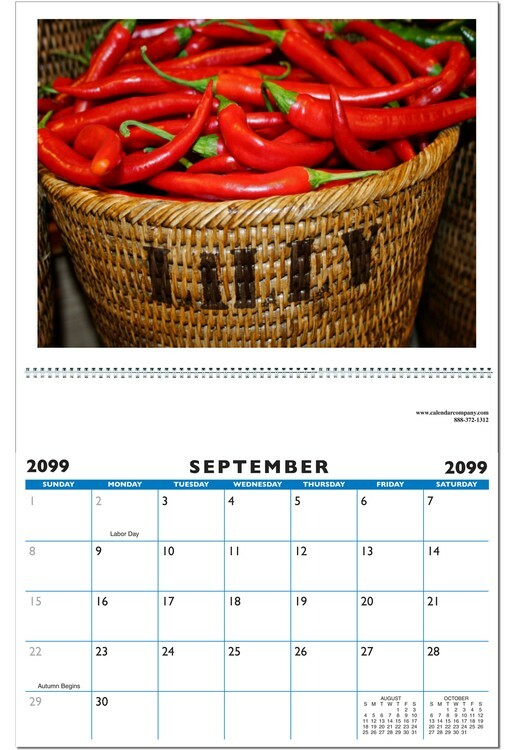 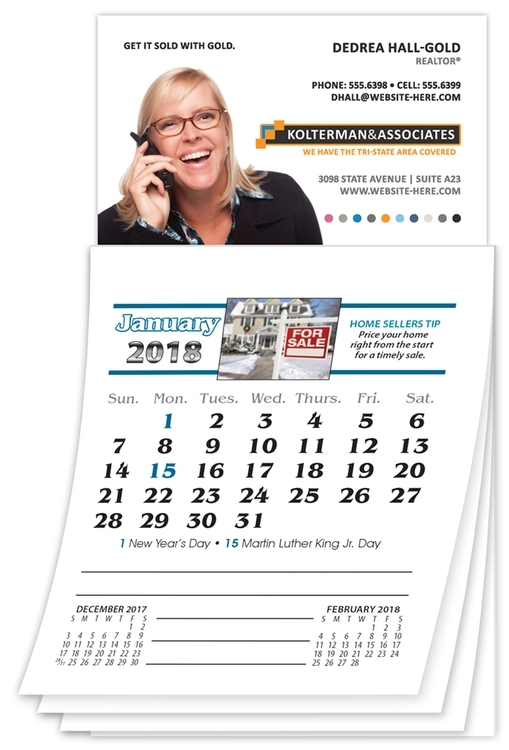 The same physical size as the other two calendars, it’s ad copy area is larger than Styles 1 & 2. 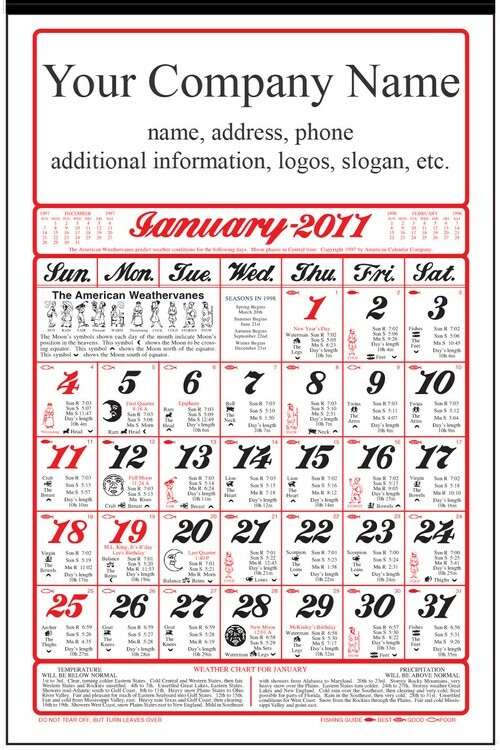 Style 3 has moon phases, number of week notation, American - Canadian holidays and before & after reference months.